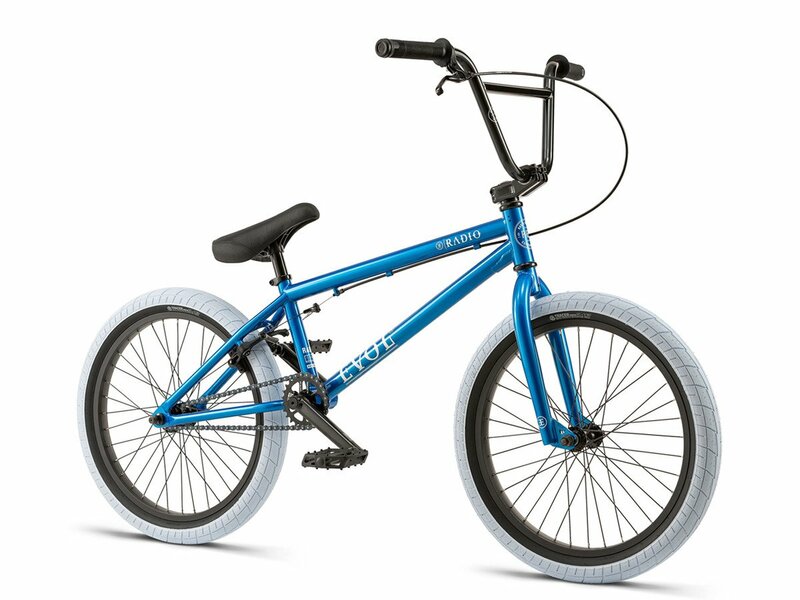 The Radio Bikes "Evol" 2018 BMX Bike - Metallic Blue offers you with a 3-piece. 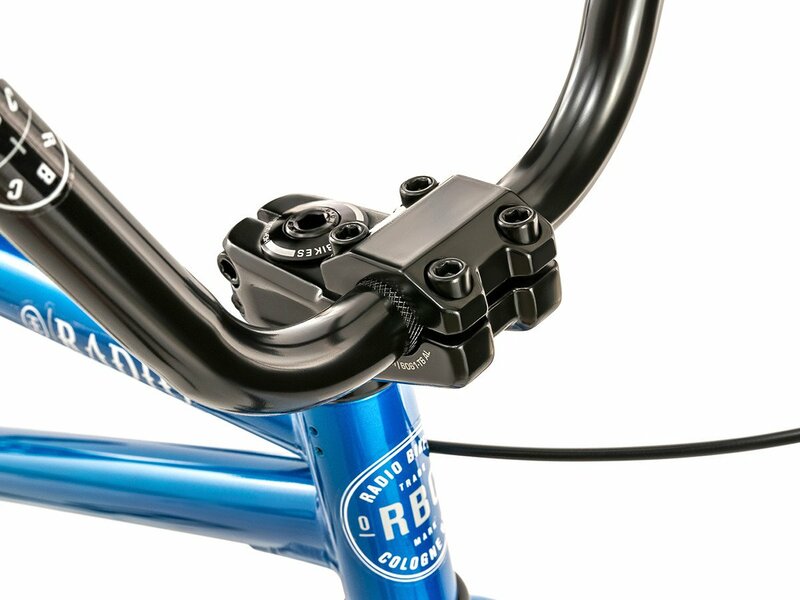 CrMo crank including sealed Mid BB, a high topload stem and handlebar, a rear U-brake and a cassette hub already a solid standard equipment which allows you to learn and develop your first tricks at the skatepark, streets or dirts. 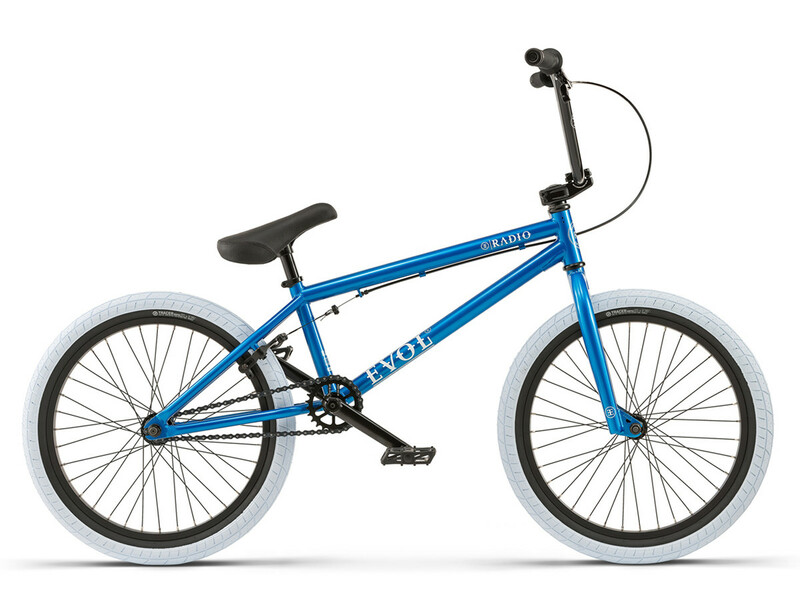 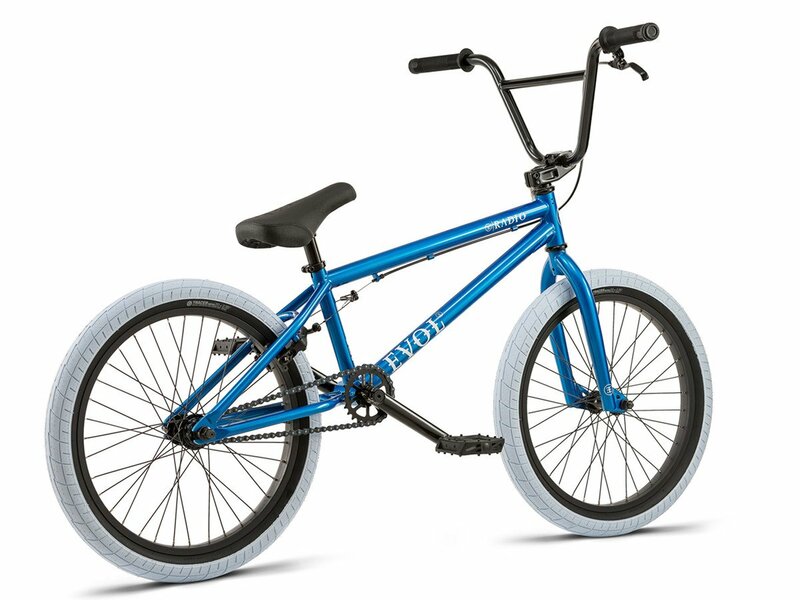 The Radio Bikes "Evol" 2018 BMX Bike - Metallic Blue comes with wide Street/Park tires to you. 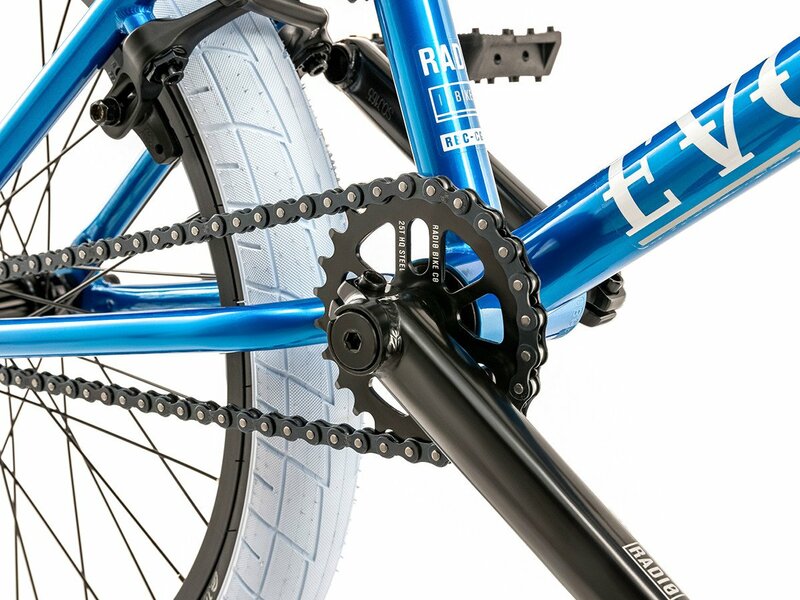 BMX Bar: Radio, HiTen, 2-pc.